Can ABC's 'Revenge' Return to its First Season Glory? ABC’s Revenge was a little show that seemingly came out of nowhere in 2011 and developed a huge following overnight. The compelling story of a mysterious young girl who shows up at the Hamptons with precisely one goal in mind struck viewers, and the first season had all the goods. Drama, beautiful, wealthy people, and — probably the best part — beautiful, wealthy people who all got what they had coming to them. But something strange happened in the second season, and some of the original magic was lost. 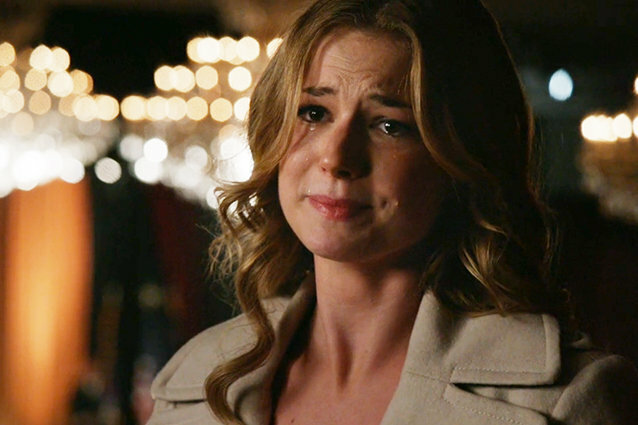 The main character, Emily Thorne (played by Emily VanCamp) no longer had one goal in mind, and her plans for revenge and vindication for her father — which were pretty basic in the first season — got suddenly and, often, unnecessarily complicated. The show started out as an exciting guilty pleasure-ish drama, but turned into a full-blown soap opera during season two. Love affairs, pregnancies, unbelievably dramatic deaths, and under-utlizied supporting characters dominated most of the episodes. Even though much of the fun was still there (thanks to characters like Nolan Ross), a lot got lost in the shuffle. Another person leaving the show is the beautiful Ashley Madekwe, who played Ashley Davenport. Ashley was great to look at and could have played a bigger role but there were times when viewers seriously could not figure out why she was still on the show. Unfortunately, her role became a little pointless and — even though her accent and great fashion sensibility will be missed — it’s probably best that she bounce. And as she exits stage right, enter actor Justin Hartley stage left. Playing Victoria Grayson’s long-lost son Patrick, viewers will not be lacking in the eye candy department. One of the most promising things about the upcoming season is that the folks behind the show are aware of their second season screw-ups. The President of ABC came out this summer and admitted that they had fallen off a bit, and promised to bring back some of that flavor from the original season of Revenge. We can only hope that he delivers on that promise, because it’d be so great to see another fantastic season of Emily Thorne wreaking havoc on The Hamptons.